With the constant technological advances and the growing number of ways to communicate and collaborate with employers and colleagues via web and phone channels, the opportunity to work remotely is becoming a more and more common reality. What was once a perk limited to contractors or part-time employees is now being enjoyed by many and is continuing to grow in popularity. A lot of employers enjoy giving opportunities to telecommute and remote in, because not only can it help save money, but it provides a sense of freedom and flexibility that can help lead to greater productivity and happier employees. But while these opportunities in working from home initially seem to be ideal, they are definitely adjustment from the typical business environment and there can be a learning curve involved. The first step to becoming successful with virtual jobs is to make sure that your designated work area emulates a business environment. Or, simply put, your home office does not mean the bed or the couch! Both areas are comfortable and perfect places for short breaks, but settling into such a laid back and relaxed environment will produce similar results. If possible, try and have an actual room that can serve as an office to be utilized for the sole purpose of business – no watching TV, no casual reading, just business. You don’t have to spend a lot of money to make this happen, but it is an important step. If space does not allow for an entirely separate room, make sure there is at least a specific area at a table or desk that is designated as the work environment. Having an assigned space will create a feeling of professionalism and help ensure that the correct jobs are being accomplished. If you have your designated space set aside and you are still finding it difficult to remain focused and on task, a good adjustment tactic is to get dressed each day as if you are going to be in front of clients, and not in front of your dining room table. By taking the time to get ready in the morning, it will give that added feel of professionalism and can help serve as a reminder throughout the day. Sweatpants and comfy shirts are as dangerous as the couch – great to relax with, but not ideal for getting tasks accomplished. As with any job, preparation is one of the most important keys to success! This is a small step but probably the easiest to overlook. Yes, you may have all of your assignments sent to you and know your company log in, but do you have WiFi at your virtual office? Do you have Skype downloaded and ready to use for the morning conference call? The opportunity of telecommuting can be taken away very quickly if employers find you to be unprepared or experience a decline in your performance, so take the time to do a few trial runs in order to ensure proper functionality. Send a couple business emails, have a trial teleconference, get experienced with your company’s website and internal systems – just make sure that come game time, there are no glitches. 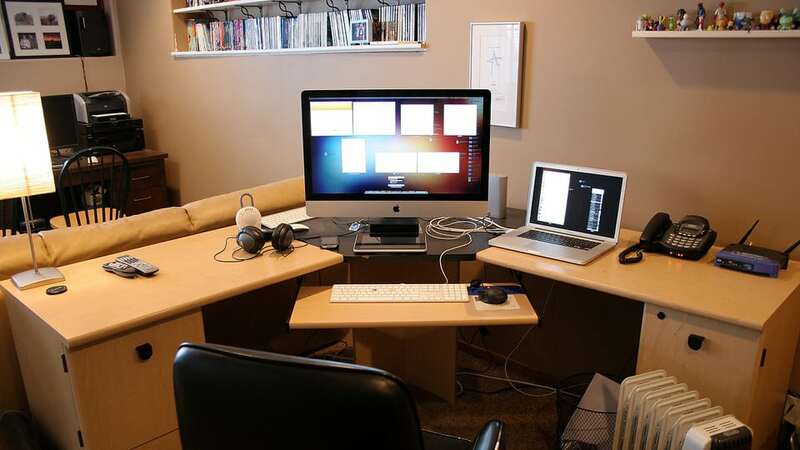 A final step to helping you find success as a remote employee is organization. This is another elementary concept, but it can also lead to failure if it is not put into practice. The life of a telecommuter is often times overrun with distractions – the kitchen suddenly needs wiped down, there’s a rerun of that Lifetime movie that you missed, the stacks of junk mail need sorted – and it is extremely easy to get caught up in these side tasks. Before you know it, half the day is gone and nothing job-related has been accomplished. In order to combat these employment diversions, make sure to remain organized! The easiest way to do this is with a to-do list for every day. Keep it in plain view and make it as detailed as possible, including things such as lunch and short breaks. This will help hold you accountable and also give you benchmarks to strive for. Whether you are a contractor, part-time commuter, or executive level employee, having a job that can be accomplished from home can be a great perk. It can help save money from commuting costs, allow for flexibility, and be a great indicator of trust between boss and employee – IF it is executed properly. But with a little dedication, preparation, and focus, you can become the ideal remote employee and enjoy all of the advantages the experience has to offer. Finding employment with the working from home perk has become a widely accepted concept. Although this telecommuting experience is a coveted one, there can be some difficulties in the transition from office to home office. But by following a few tips and remaining focused on the end goal, anyone can become a successful remote employee. By following a few tips and remaining focused on the end goal, anyone can become a successful remote employee. Is Working From Home Right – For You? What are other steps you can take to remove unnecessary distractions? This completely depends on the person and their levels of self-control, but some of the most successful virtual workers take steps such as turning off their phones when they aren’t needed, unplugging TVs or DVD players, and blocking gaming and social media websites on their computers. How do I know if I would even make a good virtual employee? Anyone can be successful in this type of environment – you just have to make sure to stay focused and determined on the task at hand. Those are the two biggest qualities needed to be successful in this role! What can I do if I find myself starting to get off topic? Just like in an actual office, it is always important to give yourself breaks! Instead of walking to the water cooler, take a walk around the block, or throw in a quick load of laundry. The important part is to stick to the time frame you have allotted for yourself so that a ten minute break doesn’t turn into two hours.